This fully furnished, maintenance-free Villa is completely updated and ready for its new 55+ owner. 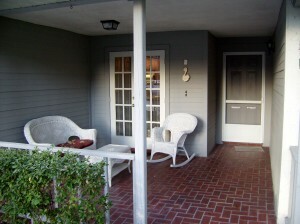 Located in a Park-like setting, close to shopping, tennis, pool, and parks. Never mow, paint or re-roof your home. One of the best views available. Look at what’s been updated within the past 4 years: A/C & Heat Pump, Hot Water Heater, Washer & Dryer, Dishwasher, Stainless Steel Sink, Microwave Hood, Disposal, Kitchen Counter Tops, Kitchen Cabinets w/Pull out Shelves, New Laminate Flooring, Additional Insulation, Electric box and service updated, New Toilet, Mirror, Faucets, Cabinet in Bathroom, Garage Door Opener, Lanai enclosed with New Vinyl Windows.